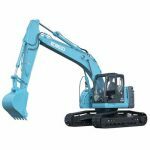 Our range of Kobelco Large Excavators reflects Kobelco’s commitment to servicing the heavy-duty market with reliable, durable and environment-friendly earthmoving machinery. As Perth and Western Australia’s exclusive Kobelco dealer, our Large Excavator range provides solutions to growing expectations, as heavy excavators become essential in all kids of projects around the world – far beyond the civil engineering work sites of the past. 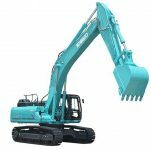 Our collection of Kobelco Large Excavators for sale include their 2015 SK Series, Generation 10 – a new excavator series that draws on Kobelco’s 85 years of experience in innovation. 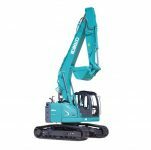 The SK Series represents Kobelco’s philosophy for durable and earth-friendly construction machinery, combining impressive quality, attention to detail and absolute reliability. 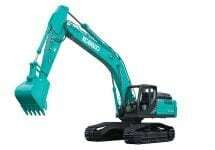 Explore your excavator options with Kobelco and LiftRite, our team is here to assist with your large excavator requirements.